Dr. Jennifer Marie Lane’s service to the world is through her devotion to dreams and embodied life. She is a mother, dream oracle, chiropractor, and teacher of earth wisdom and sacred movement. She is also an avid writer and author of a guidebook on dreaming: ODE: A Guide to Dreaming the World Awake. To be in her presence is to enter into a realm where body, heart, mind, soul and spirit(s) are invited to intermingle. As an undergrad at Stanford University, Jennifer had a mini existential crisis as her intellectual aspirations were challenged by spiritual awakenings. Her traditional Christian worldview fell apart and she no longer wished to pursue a PhD in Anthropology, let alone complete her Bachelor’s. She experienced a huge heart expansion at the Esalen Institute in Big Sur in the Summer of 2002. After that, the world of academia lost its all-encompassing glamour and authority. So, while she completed her degree in Medical Anthropology and Anthropological Genetics, she immersed herself even more deeply in the study and practice of yoga, meditation, dreamwork, healing, alchemy, and earth wisdom. She continues to do so on a daily basis, as her thirst for knowledge is seemingly unquenchable! She also walks the priestess path and received her initiations in Glastonbury, UK - home of Avalon, the Tor and Chalice Well Gardens. The mystical path continues to guide and inspire her onward. In the Spring of 2016, she and her husband left their San Francisco home of 10+ years, and embarked on an epic adventure. She travels the world with her husband and son, making a home and invoking Beauty, Love & Magic wherever they land. She is happy to have landed at The Hive in Bend, OR. 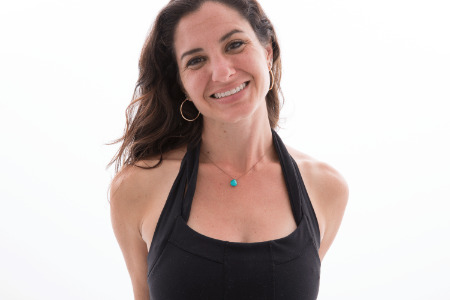 Jennifer offers 1:1 body-centered ritual sessions, movement classes, dream temples and readings, gatherings, and retreats that evoke a deep sense of heart-soul connection, as well as online and 1:1 studies for continued integration and embodiment. She invites each of you to follow your true path, and to wander a bit on a walkabout where there is no path, only the living Dream. Let's dream the world awake! Gratitude to all my teachers in this realm and beyond!